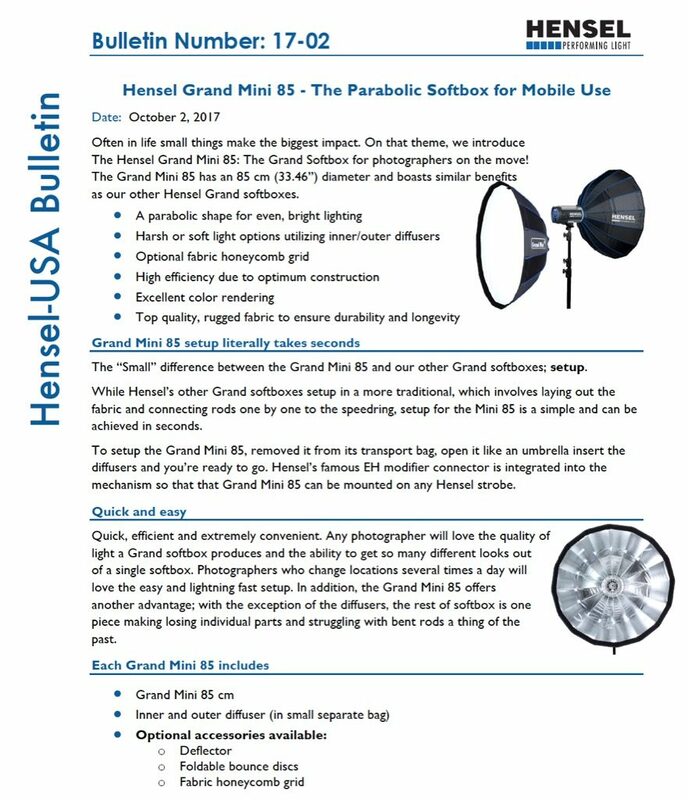 The lighting pros at Hensel have introduced new products for photographers and other creatives—the Grand Mini 85 parabolic softbox, the latest addition to Hensel’s Grand softbox series, and the Schönes Licht Lighting Kit, priced at under $1,000. Designed for location shooting (though it can be an excellent solution for studio photographers), the Grand Mini 85 measures 85cm (33.46 inches) in diameter and has a parabolic shape for even, bright light distribution. Made of a high-quality durable fabric, the Mini 85 sets up in seconds. Additional features include the use of inner and outer diffusers (included) and true color rendering. A deflector, foldable bounce discs and fabric honeycomb grids are available as optional accessories. Priced at $398, the Grand Mini 85 is available now for pre-order and will be available in the Hensel online store in mid-November. 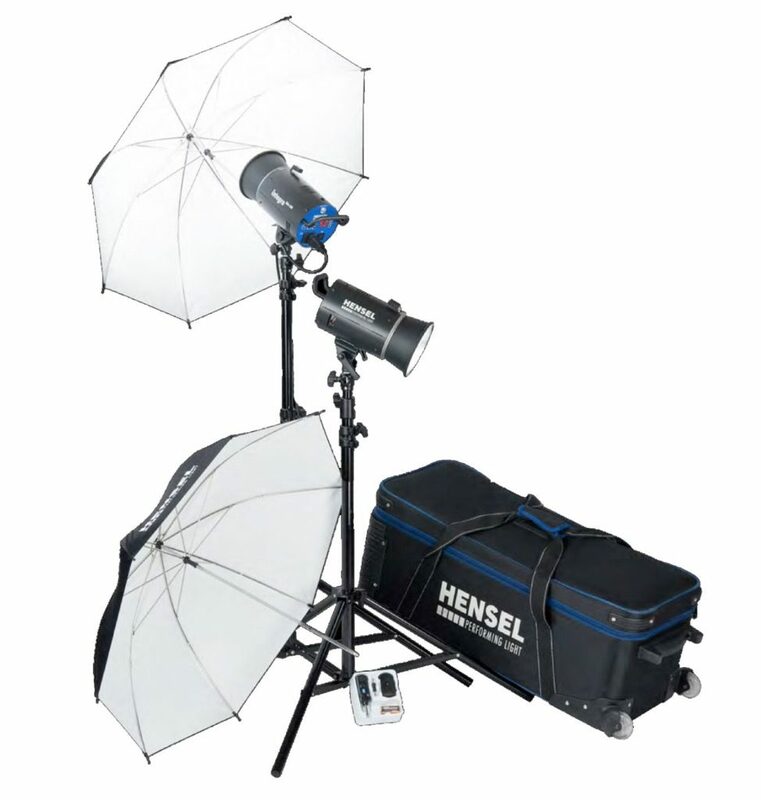 In Hensel’s Schönes Licht Lighting Kit—“schönes licht” translates to “beautiful light” in German—quality meets affordability in the $999.50 package. Designed for portrait photographers, the kit includes two Integra Mini 300 monolights, one Economy Radio transmitter/receiver set, one Integra Aluminum Stand (6.7 feet, air-cushioned), two Umbrella Flood Reflectors, two Economy Umbrellas (32 inches) and a Softbag VII “De Luxe” Wheeled Case. The Schönes Licht Lighting Kit is available now. 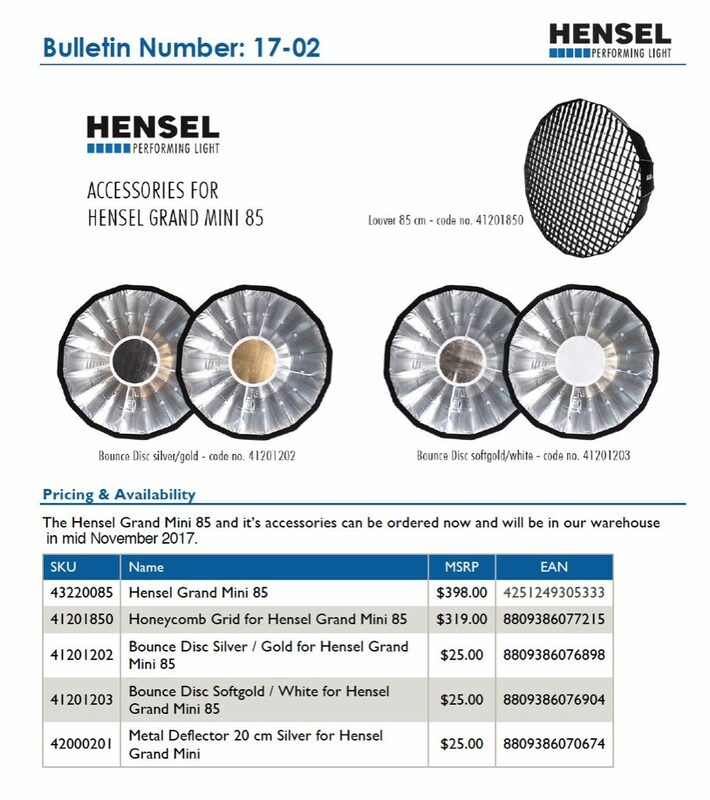 Visit the Hensel USA website for more details. These days a photographer’s first portraiture lighting kit is often a compromise between speedlights or entry level cheaply made strobes. Most would prefer to own a well-made, accurate, high-quality lighting kit but find these to be priced out of reach. 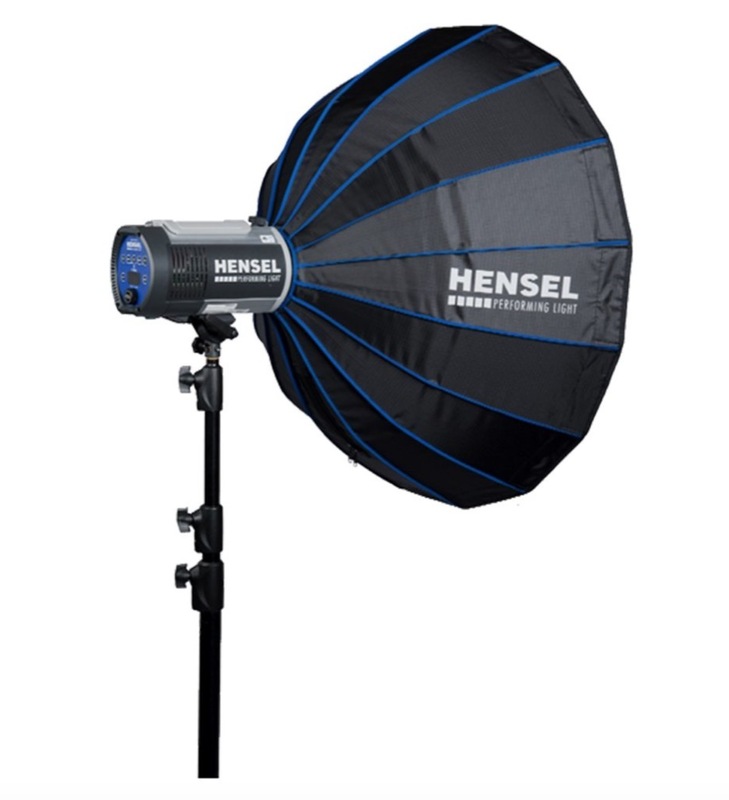 At just $999.50, less than the cost of about 2 decent Canon or Nikon speedlights, photographers can now own a Hensel lighting kit which provides four times more power and includes stands and accessories. Schönes Licht means Beautiful Light in German and our light kit provides just that; beautiful, simple to control lights with ample power, reliability, and durability, made in Germany. The Integra Mini’s included in Hensel’s Schönes Licht Kit are often considered the best in their category. Schönes Licht kits are in stock and ready to be shipped immediately. Here are the details. Note: As the Schönes Licht Kit cost less the $1,000 it cannot be combined with the currently running Ever-Ready Kit Promotion.